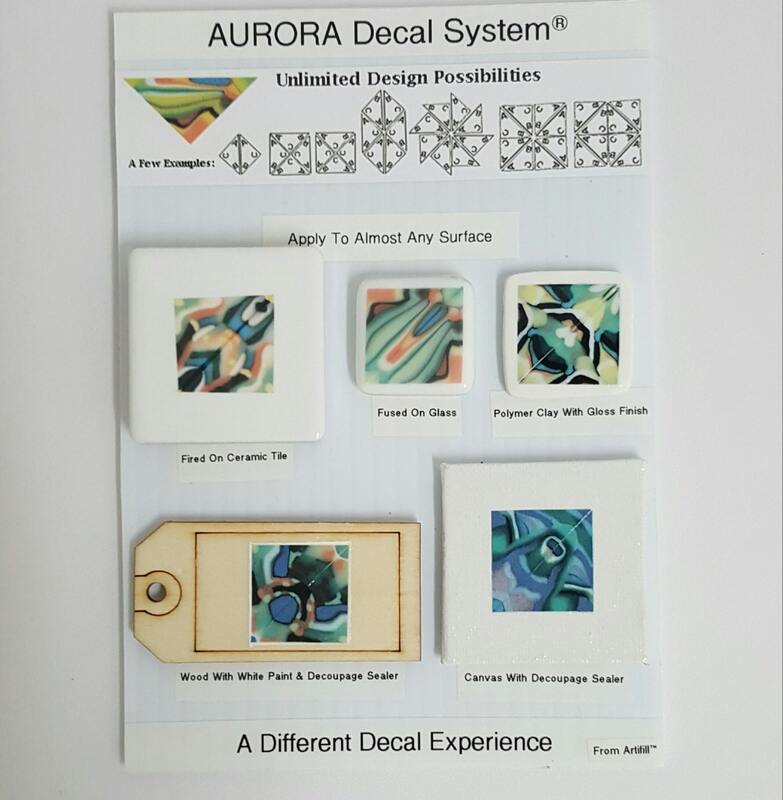 Aurora Decal System™ is a new & unique decal system that allows you the ability to create your own design. Each pack contains 20 triangle decals, 10 left & 10 right and instructions which include several design ideas. Each decal measures 1 3/8" x 1" x 1". 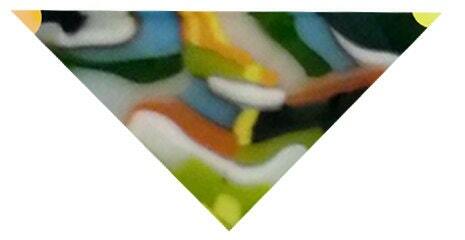 These water slide decals can be applied to almost any non-porous surface including fused glass & low fire ceramics. The decals are best on white or off white surfaces. 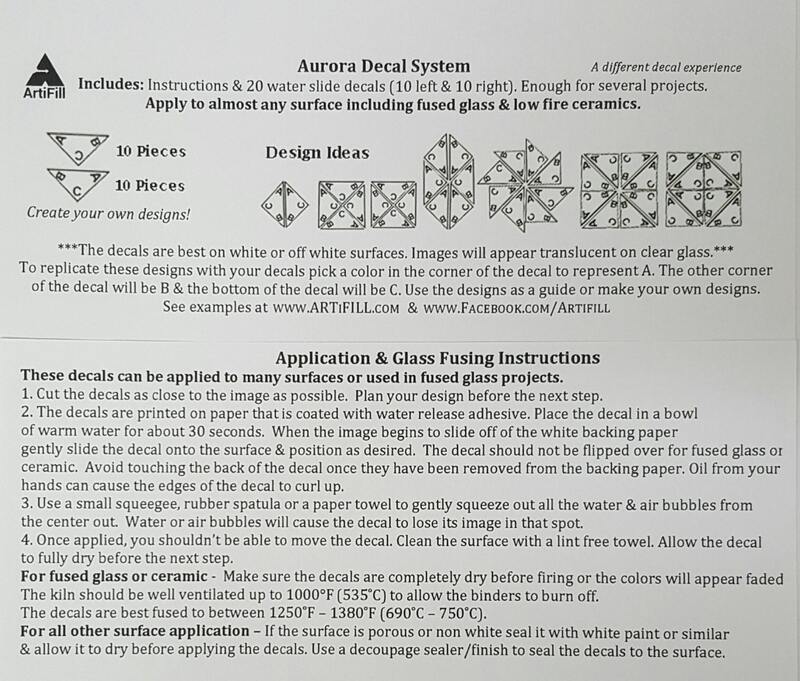 The images will appear translucent on clear glass. Use the included design ideas or create some of your own. 20 decals is enough to make several projects.